Due to time constraints ONE GP appointment is for ONE patient for ONE problem. If you require to be seen for more than one problem please ask the receptionist for a double appointment. We have early morning appointments running from 7.15am to 8.30am on a Monday, Tuesday & Friday. There are allocated “on the day” appointments throughout the day for any medical issue that can’t wait until a routine appointment. The doctors are happy to give advice to you over the phone. Please arrange a suitable time with the receptionists. When you have to phone for a test result it is better to phone after 3pm. 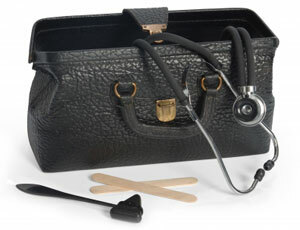 There is nearly always a medical professional in the practice. If not the reception will contact the duty doctor and ask them to return to the Health Centre. In a medical emergency do not delay in contacting the emergency services. We use a text messaging service to remind patients of their appointments and send invites for routine health clinics. Unless you opt out of this service, you will automatically be included. This is a free service – however we must always have an up to date mobile telephone number contact for you. The practice can arrange for an interpreter to be present during a consultation if the patient requests this. This appointment must be booked in advance and a double appointment would be required. Although a traditional part of general practice, home visits are time consuming. Please remember that several patients can be seen in the practice in the time it takes to make one home visit. So please help us to help you and our other patients by visiting the surgery when ever possible. Please request visits before 10.30pm whenever possible as this allows the Duty Doctor to assess the request for necessity and urgency so that it can be appropriately managed. In some situations the Duty Doctor may arrange assessment by another member of the community team e.g. District Nurse. It is not the GP practice responsibility to arrange transport, or to perform home visits because the patient has difficulty arranging transport. In these circumstances patients should seek transport help from relatives, friends or taxi firms. If a patient has difficulty arranging for someone to care for their children whilst attending appointments, the patients are welcome to bring their children to the surgery. Whilst it is understood that having poor mobility is inconvenient and unpleasant, GP surgeries are designed to cater for patients with restricted mobility. If patients are able to attend appointments at other healthcare settings, then they should also be expected to attend appointments in GP surgeries. It is in the best interest of the child to attend the surgery where they can be properly assessed and treated. The clinician can make a more informed clinical judgement when seeing the child in surgery. Care home residents are no different from patients in their own homes. The need to visit should be based on clinical need, not the availability of transport or staff to attend the surgery. It is the responsibility of care facilities to make transport available for residents so that they can get to medical and non-medical appointments. 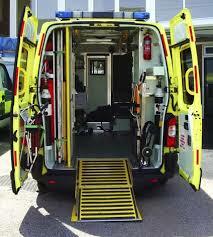 Patients who have a medical mobility may be able to access patient transport to take them to hospital appointments. If you believe that you meet the criteria and require transport please phone the patient transport request number 0300 123 1236 as soon as you have been notified of your appointment (whenever possible, no later than 4 working days before your appointment.